We know how difficult it is to plan the perfect birthday party for your little one while keeping up with a hectic work schedule. 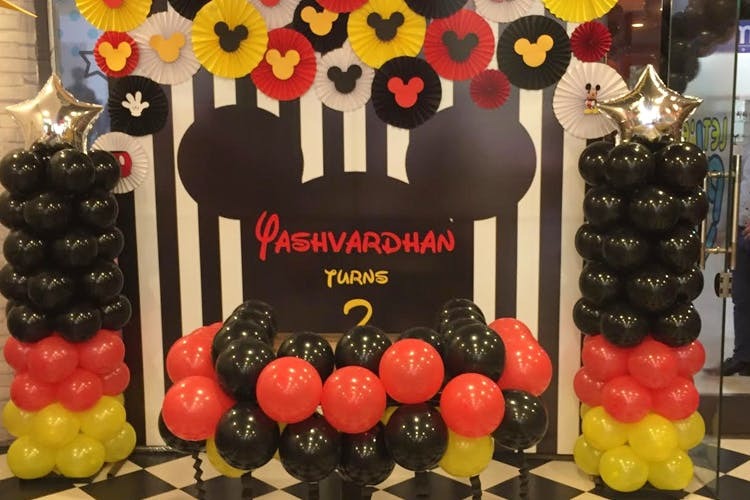 So, we have found you THE destination where you can host the perfect birthday for your munchkin. Let’em Play is a children’s entertainment zone, located inside MGF Metropolitan Mall, Saket. At Let’em Play you can choose from an abundance of themes for your child’s party. The 6000 sq. ft will also ensure that your child and their friends are having a great time with zones like the Trampoline Park, Foam Pit, Drop Slide and more. No party is complete without some great food. Let’em Play’s Snack Shack offers a variety of snacks like Corn Cheese Balls, Load up Nachos, Pizzas, Egg Station, Pastas and many more scrumptious delicacies, making your party an instant hit. #LBBTip: An added bonus is that the zone is situated inside the mall. So birthday party or not, let your kids enjoy at Let’em Play while you shop (It’s a clear win). On your child’s birthday all your attention should be on them and not on worrying about if the birthday party is a hit or not. Leave it on Let’em Play to give your child a memorable birthday party full of fun, frolic and yummy food.